Arthritis can be a debilitating condition, but marijuana can help control pain. Most of us have heard of arthritis, but did you know it’s the leading cause of disability in America? According to the Arthritis Foundation, “More than 50 million adults and 300,000 children have some type of arthritis.” Even though there are many different types of arthritis, they all share the symptoms of joint pain, swelling and inflammation. Finding relief from the debilitating effects of arthritis is often a daily struggle, especially for the elderly, but there are many treatments available. Sometimes, it’s as simple as recommending a change in ones diet and increasing exercise but for more advanced arthritis, the chronic pain from inflamed, swollen joints requires more effective and immediate relief. Medical marijuana may be an option you haven’t yet considered or might be afraid to try. 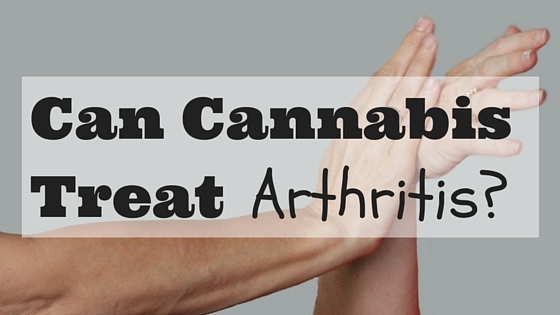 Maybe you even wondered can cannabis treat arthritis pain? Well, the answer is yes! THC, the active ingredient in cannabis not only helps relieve pain, but also eases inflammation throughout the entire body. Another benefit is its ease of use and how fast it acts on the system. It can be smoked or vaporized for almost immediate effect. Eating it is a simple way to absorb it. It can also be used as a topical cream or ointment and applied directly to stiff, aching joints for quicker relief without hallucinogenic effects. Medical marijuana is now legal in thirty-nine states, but more specifically, it can be used in treating arthritis and/or chronic pain in California, Illinois, Maine, Maryland, Michigan, Montana, Nevada, New Hampshire, New Mexico, Rhode Island, Vermont and Washington. As it continues to gain greater mainstream acceptance and understanding, sufferers of arthritic pain will have even more opportunities for relief. Find the best deals on topicals, vaporizers, and more here. Cannabis Consumption Methods: Which is Right for You?